Vegan alternatives to tasty treats! Going vegan? Ditching the coffee addiction? Try these yummy alternatives. Delicious, healthy, must-haves! 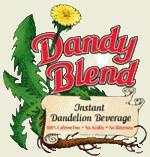 Try Dandy Blend. This caffeine free, herbal drink is the ONLY thing I’ve found that quenches my desire for a hot latte. I mix it with warm, unsweetened vanilla almond milk, and top it off with cinnamon. For an extra health boost, I add a teaspoon of my favorite tonic herb, astragalus. Dark, rich, and slightly nutty – I love it! Cheese lover? Oh my goodness! I love cheese! How they’ve found over a billion ways to perfect a bacterial process, is beyond me. Going vegetarian was easy for me. As long as I had cheese, I knew I’d survive. But vegan? No cheese? What is a girl to do?! To be honest, none, and I mean NONE of the cheese substitutes I’ve tried come near to the yummy goodness of real cheese, BUT I have managed to find one that’s heads above the rest. And it melts, too! 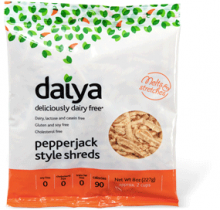 Daiya Foods sells several varieties of soy-free cheese…and it’s good. I prefer the pepper jack and mozzarella, but the cheddar has its merits. It’s made of tapioca. Sound strange? It is. But who cares? You can make nachos with it! Interested? Daiya Food products should be available at your nearest health food store. Me too. Apart from cheese, ice cream is my one true love. Thankfully there are many super de-lish vegan ice creams on the market. But my favorite is Coconut Bliss. As I’m sure you can guess, it’s made with coconut milk. It’s also sweetened with agave. A much healthier option to regular ice cream – and to tell the truth, I like it even better. Rich and creamy, indeed!